The UK’s biggest solar farm has just been launched on the Cadland estate in Fawley, Hampshire, with 30 acres of solar panels to provide enough electricity to power around 1,000 homes. The estate, used for farming wheat, maize, potatoes and some livestock, is completely surrounded by trees, which are believed to help to decrease the visual effects of the 1,800 solar panels mounted on 5.6 miles of frames in the landscape. The energy generated by the 5MW solar photovoltaic system is now being sent to the National Grid under the UK Feed-in Tariffs scheme. The Cadland Solar Farm project has been designed and managed by leading energy efficiency solutions company, Anesco, working with exclusive supply partner Trina Solar and groundscrew installer JPCS. It has been backed by SSE, the UK’s largest generator of renewable energy. 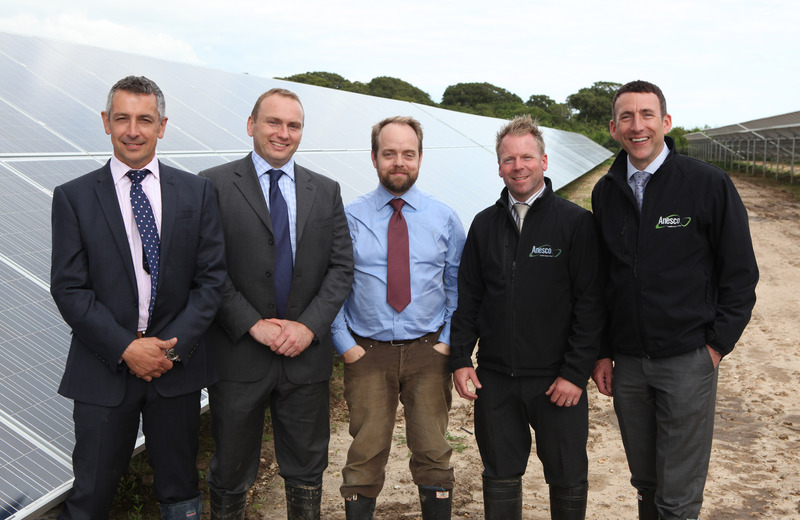 Mr. Drummond, owner of the Cadland Estate, said: “I’m excited by the installation of the solar farm and also for the future of renewable energy“. “I was very impressed when I saw the solar farm, it’s much bigger than I imagined, but it is amazingly discreet.“, added the local councillor Alexis McEvoy. “I would take one of these solar farms over a wind turbine farm any day, because they are silent and non intrusive at all“.